Every year I wait for Ganesha likewise he will come and get away all my fears & failures in life. His wisdom, his childlike nature, his smile, his riding on the mouse- I am so much fascinated by all these. That’s why Ganesha is famous among children too. 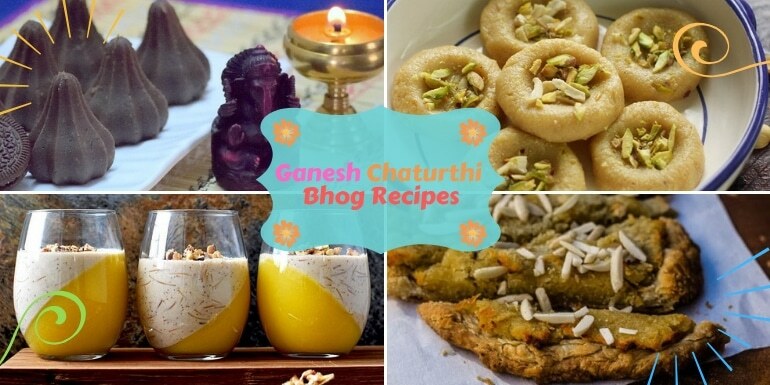 I am sharing 5 Mahabhog recipes to offer Lord Ganesha this Ganesh Chaturthi. This festival is just so amazing due to the celebrations, everyday Pooja, eating various Prasadam, dancing around. So much positivity. We all know that how much food is being loved by Ganesha. All around India, his favorite sweets are made starting from Modak. 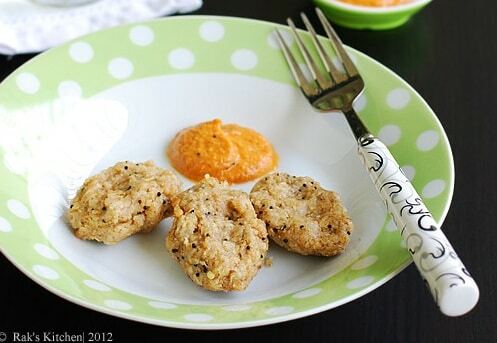 This year Tasted Recipe team decided to give a twist to these Prasadam recipes. Generally, the Prasadam is made of maida which many people may not like because they are health conscious or maybe you are looking after your family health especially in festival time. So what you can do is add some twist to your Mahabhog recipes for Ganesh Chaturthi & make something extraordinary. Modak is a sweet dumpling that is specially made for Ganesh Chaturthi/Vinayaka Chaturthi season. 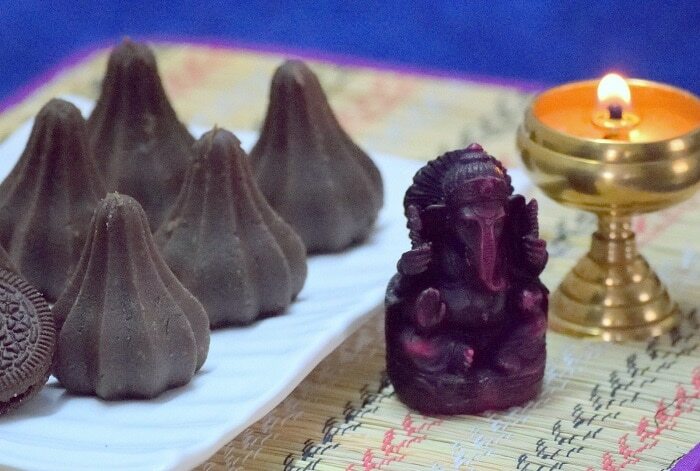 This year let’s make a kid-friendly Modak which is easy to make & with some new twist. For a better twist, you can use cashew nuts powder or pistachio powder in the Modak. If you really want to give new kind of fusion twist to Puran Poli, go for Puran Tart. 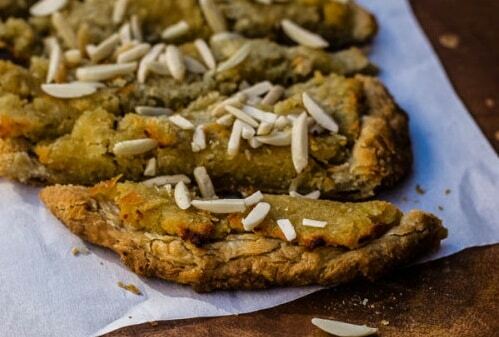 This Indian dessert is getting a hatke makeover & you are going to wow Lord Ganesha. Be prepared to wow everyone because you are going to get this amazing twist recipe to your normal Peda. The butterscotch sauce is giving toffee type taste and as you will be amazed by the taste layers in it. This Oats Kozukatta can be made so quickly. In between these 10 days of Ganesh Chaturthi days, you can try this twist recipe in your dinners or in the morning as well. This recipe is served with tomato sauce. It will be high fiber food for you during festival days. Now Kheer with Mango twist is so yummy and unimaginable. The mousse has one another special ingredient & that is Dates. 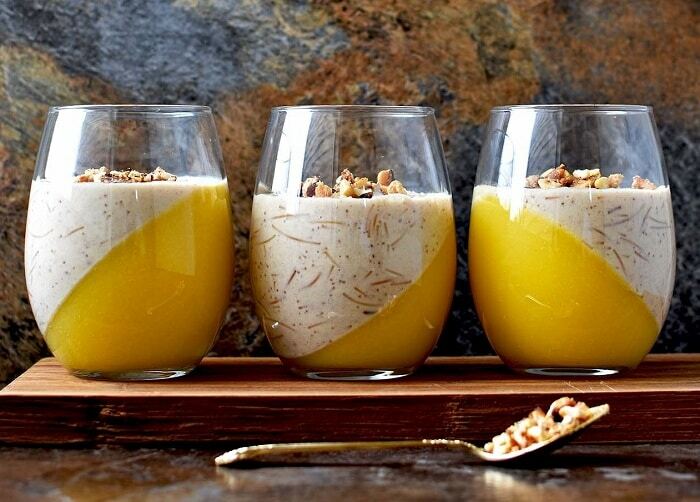 The blend of dates with mango flavor in the mousse just makes the balanced taste in the kheer. I know you won’t be able to find mangos in this season but if you want mango Ras, it will be easily available to get this flavor or else you can give another fruity flavor too. On this precious occasion of Lord Ganesha, let’s pray together for the wisdom and victory we receive for every good reason. I remember with my mom I used to chant one Sholka for Ganesh Stuti,” Sukha Karta, Dukha Harta, Vaarta Vignaachi Jai Dev Jai Dev”. 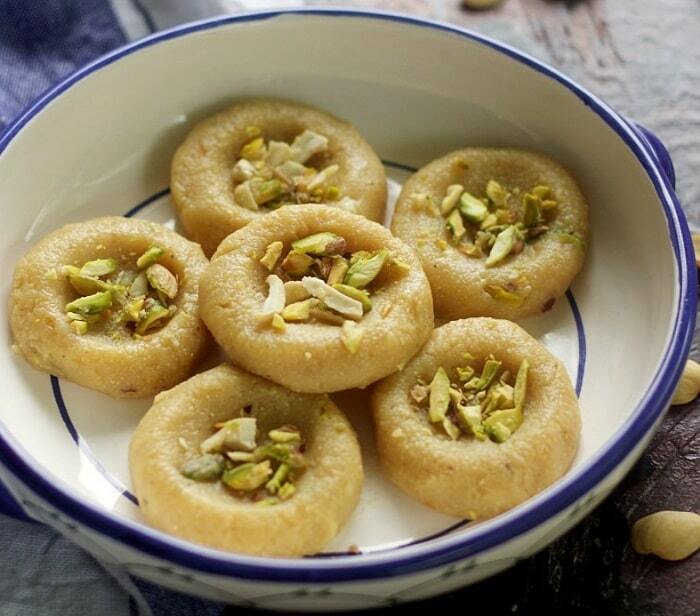 With your Pooja/ Aarti, also enjoy these delicious delicacies with a twist. Don’t forget to share it with your friends & relatives. For any questions, comment in below section!